We first began providing comprehensive concussion safety information to youth sports parents, coaches and athletic trainers in 2000. Since the beginning we have been considered the “pioneer” in concussion safety education. 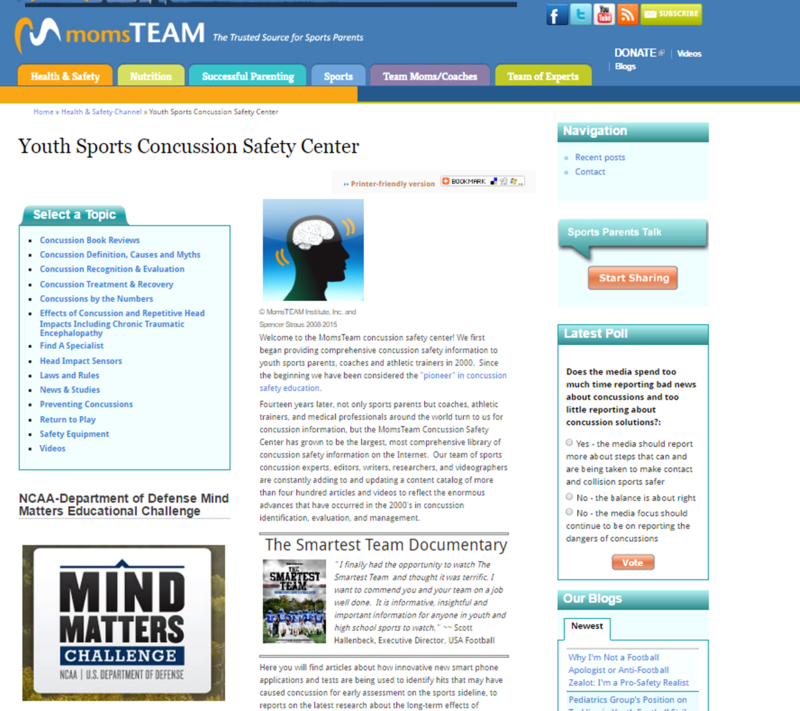 Seventeen years later, sports parents but coaches, athletic trainers, and medical professionals around the world have turned to us as a trusted, objective, and reliable source for all things concussion, with the MomsTeam Concussion Safety Center growing to become the largest, most comprehensive library of concussion safety information on the Internet. Our team of sports concussion experts, editors, writers, researchers, and videographers are constantly adding to and updating a content catalog of more than four hundred articles and videos to reflect the enormous advances that have occurred in the 2000’s in concussion identification, evaluation, and treatment.